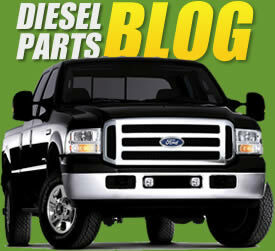 Diesel engines provide a lot of power and help vehicles perform heavy work with great performance every day. However, they also produce a lot of heat and require diesel engine cooling systems that are just as powerful as they are. Failure to properly cool your engine can have many negative results on your vehicle, from loss of performance to total failure. Prevent damage to your vehicle and keep it running at its best with our high-quality parts that will enable you to perform repairs and replacements on your system with ease. We have a great selection of options so you can get everything you need to get the job done quickly. Engines are cooled down by the movement of a solution around the engine compartment, drawing heat away from the engine. Because of this, having a properly functioning pump is essential to the regular operation of your diesel engine cooling system. We have water pumps for most diesel engines on the market. Get a proper match for your Powerstroke, Duramax, Cummins, Navistar International, or Mercedes engine with our quality products. We know how difficult it can be to find the proper parts, which is why we are proud to provide many high-quality products to match the most popular diesel engines around. All of our hardware is built from the best materials to match and outperform OEM specifications. Get new and remanufactured water pumps, engine oil cooler kits, and more so that you can make repairs and replacements to your system with ease. Having new, high-quality parts for your diesel engine cooling systems will ensure that coolant is properly regulated throughout. This will result in higher performance and lower risk of engine wear and failure. You can increase your engine’s lifespan with regular maintenance, and with our selection of parts the job will be quick and easy. Let us help you get the hardware you need to keep your vehicle at its best every day of the year so you can enjoy the reliability you need out of your diesel engine. The cooling system on the Cummins ISBe 5.9L Dodge engine has a design flaw that causes issues when the engine is under extreme power. The water pump pushes water to the back of engine with no method to circulate the coolant. The back two cylinders get much hotter because the coolant is not being recycled through the radiator. The reason for this is the water pump isn't dead heading at the rear of the engine. By installing the TamerX Motorsports Diesel kit, the coolant has a clear path to follow. The coolant will now recycle through the radiator as normal, eliminating the problems caused by the coolant staying trapped in the rear of the engine.Trucks that have increased horsepower due to performance modifications see this problem firsthand. The rear plug in the Engine has a problem of blowing out causing coolant loss and extreme engine damage from running hot. Anyone that rebuilds these engines knows that the back two cylinders are more prone to failure than the front four cylinders. The TamerX / Motorsports Diesel Kit is very easy to install. the installation doesn't require any special tools and take less than 30 minutes. The TamerX TX64-CFK adds a layer of protection to your coolant system that was left out by the OEM. It filters out sediment, loose casting sand, and other solid contaminants from the system, thus preventing potential damage to your water pump, EGR cooler, and other important coolant system components while prolonging the life of your coolant. Our kit includes all components shown in the product photo and is simple to install. The included replacement filter is compatible with 24070, 4070, B5134, WF2077 filters which are widely available and reasonably priced at most popular parts outlets. Add some additional reliability and engine bay styling with this high quality aluminum TIG Welded degas bottle. Why Buy from anyone else? TamerX is one of the largest diesel sellers on eBay. Our positive feedback speaks for itself. We strive to offer outstanding service, value, and quality. Most Powerstroke owners know that a degas bottle made of plastic is prone to cracking and leaking. It is imperative that the engine stays completely full of coolant or the engine can become damaged. TamerX has designed a heavy duty replacement for the original degas bottle. We have also incorporated a 1/8" pipe fitting to allow for use with a pressure sensor. This is a new engine oil cooler kit for use with 2004 year model and later Navistar/International DT466 applications. Gaskets and hardware are included for a correct installation.